Located in the center of popular Kaanapali Beach, this well-appointed 960 square foot plus lanai one-bedroom (2 queens in this bedroom)+ a second smaller bedroom (9'x9' with a queen bed in this bedroom} garden view suite can comfortably accommodate four adults or a small family. 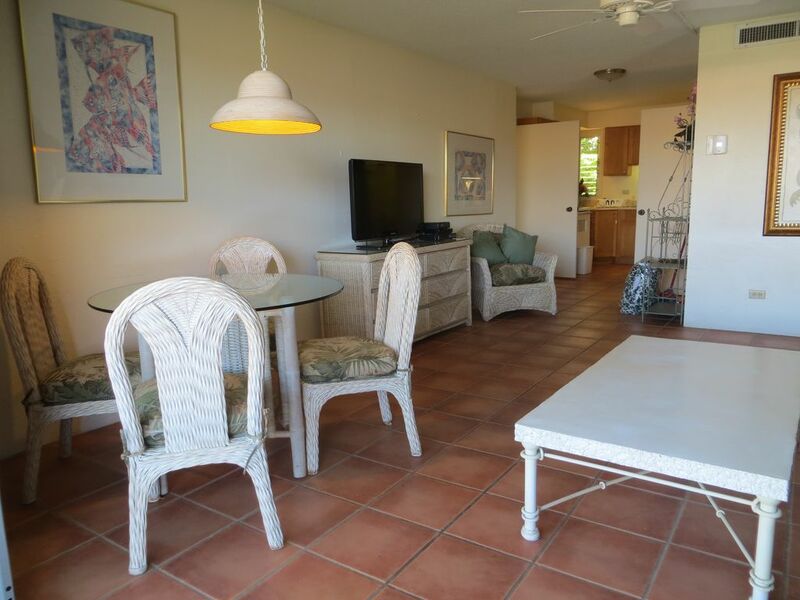 Fully-equipped with kitchen and laundry facilities as well as two bathrooms and a private, garden view lanai. Both living room and bedroom boast of floor to ceiling windows and attractive island furnishings and decor. The Maui Eldorado complex has three swimming pools and a private beach cabana equipped with towels, full kitchen, and patio furniture.